So, I shot a friend's Benz today. 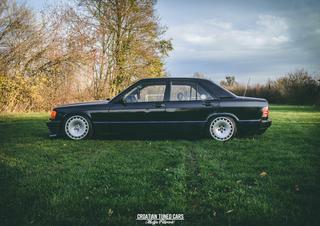 It's a 190E sitting on 16 inch BBS RS and equipped with a complete BBS bodykit. Damn that looks good, great pics! Do we know the color code for that red? It almost flops to a burnt orange..ish. What's with the little notch to the left of the exhaust tips? Oh my lorddd this is one of my favorite 201s on IG. Killed this set. Wow, I know regret getting rid of my W124! What are the widths of your wheels. 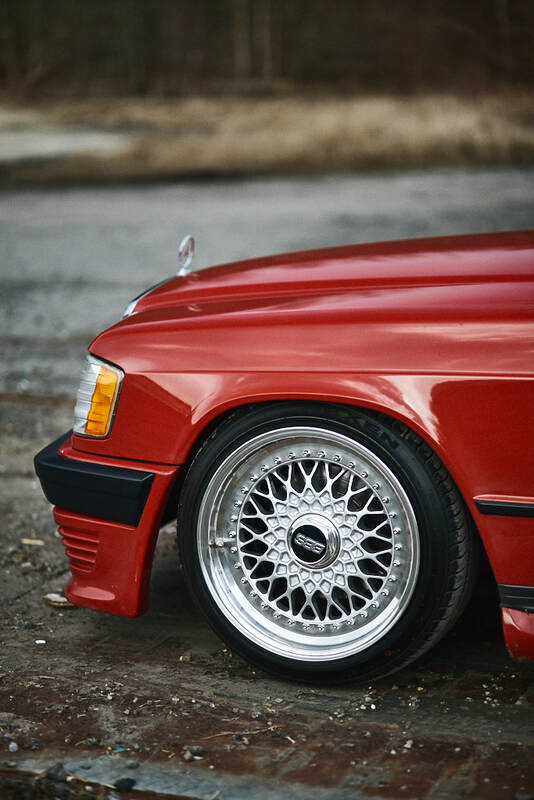 omg that bbs kit is absolutely perfect for the car :O very very tastefully done. Those old 190's are so cool. 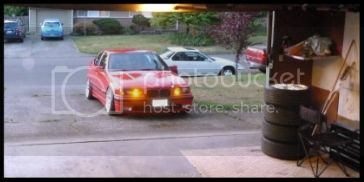 +1 for the BBS bodykit. Damn that looks good, nice pics!